More than three years after first submitting a Freedom of Information request, the UK Ministry of Defence has finally told us in which Afghan provinces UK drones strikes took place. 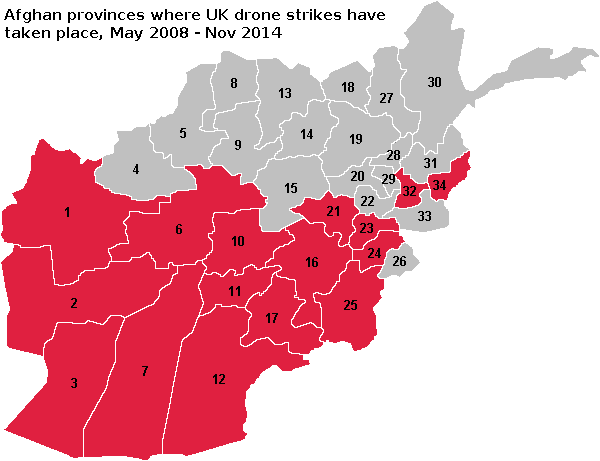 Although there is no detail on the number of strikes within each province, the MoD reveals that UK drones strikes occurred in 16 out of Afghan’s 33 provinces between May 2008 and November 2014. 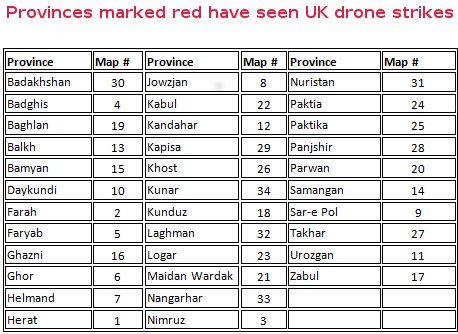 Full statistical details of UK drone operations in Afghanistan compiled from Freedom of Information requests and other public information is available here. The MoD stresses that the final UK drone mission in Afghanistan was completed on 15 November 2014. The geographical distribution of the UK strikes is wider than we suspected – covering the whole southern half of Afghanistan as well as Eastern provinces. For the vast majority of the time there were five or less Reapers being flown. 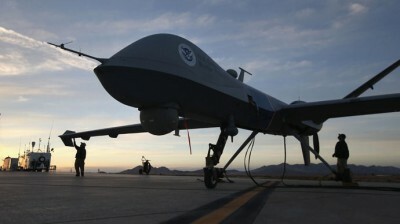 It was only in July 2014, just four months before the last UK drone flight, that the additional five Reapers, ordered in December 2010, came into operation. Given the relatively small number of UK armed drones that were in operation, compared to the much larger US drone fleet, we expected that the UK’s Reaper missions would be either totally or mainly within Helmand Province where UK forces were deployed. As ministers have repeatedly insisted, UK armed Reapers are a “force protection capability.” We certainly did not expect to see, for instance, UK Reapers had undertaken strikes in provinces adjacent to Waziristan, scene of much covert US drone activity. To be clear the UK have always insisted that (up until were deployed to the Middle East for operation in Iraq and Syria) UK Reapers only operated in support of coalition ground forces in Afghanistan. We will continue to pursue further information on the day-to-day use of armed drones in order to get a better understanding of how these weapon systems are changing the nature of warfare.